BOOM! 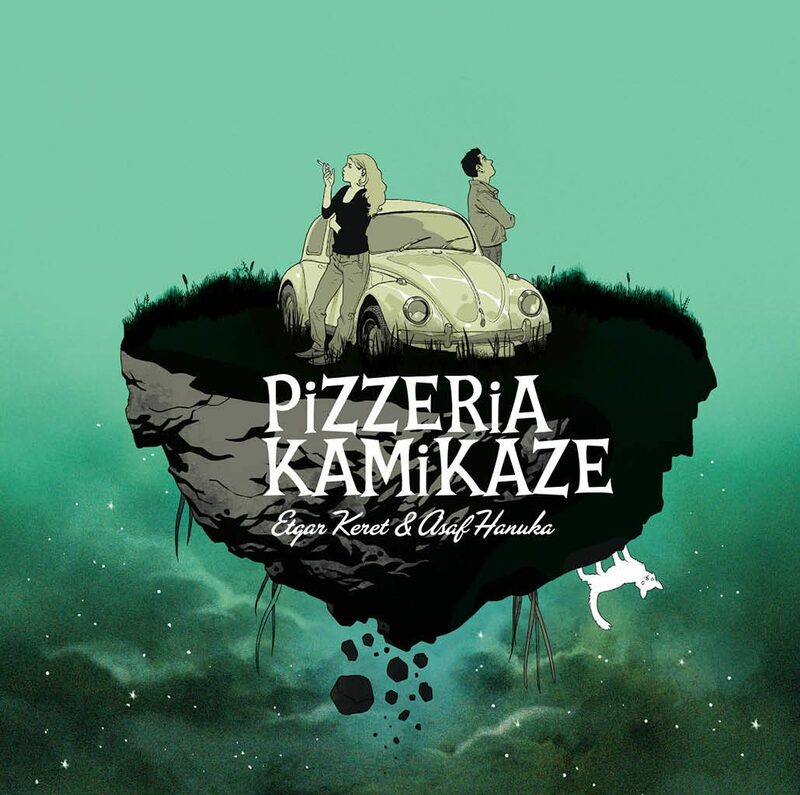 Studios recently announced a new full-color edition of Pizzeria Kamikaze, a haunting, sometimes surreal graphic novel by award-winning writer Etgar Keret (The Seven Good Years) and Eisner Award-winning cartoonist Asaf Hanuka (The Realist), to its Archaia imprint. This unexpectedly powerful story of love, loss, and escape was first published in black and white by Alternative Comics in 2006 and is based on Keret’s own short story, Kneller’s Happy Campers, which also served as the basis for the independent film, Goran Dukić’s Wristcutters: A Love Story. Its new edition will debut in February 2018, full color and in hardcover for the first time. In Pizzeria Kamikaze, after committing suicide, narrator Mordy is condemned to an afterlife where he still has to attend a crappy job in a place no less crappy than the place he came from. When he discovers that his beloved ex-girlfriend is there, too, he embarks on a much-needed road trip through an absurdist and fantastical landscape to find her. Pizzeria Kamikaze will also feature a new cover by Hanuka, who also has had two volumes of The Realist—curated collections of his semi-autobiographical comic strips—published by BOOM! Studios. The first volume won an Eisner Award in 2016. Pizzeria Kamikaze will arrive in print at better comic stores, retail booksellers, and in digital format through direct comic-reader apps in February 2018.